Need your church or synagogue cleaned but don’t have the time, man power or simply don’t want to do it yourself? Nadia’s House Cleaning understands that your priority is the spiritual growth and development of your congregation and that that in itself is a full time job. 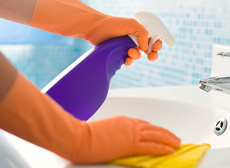 Leave the dirty work to us because you know what they say about cleanliness! 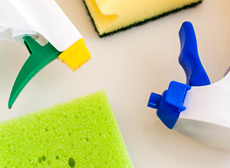 We provide flexible cleaning schedules around your Church services. 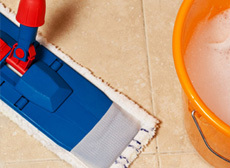 We can take over the cleaning responsibilities to give volunteers a break or to more deeply clean the higher traffic areas such as the restrooms, chapels, pews and nursery areas. Restrooms are dirty smelly places. Every public place has them but have you ever noticed the difference, for example, between a bathroom in an expensive restaurant verses say McDonald’s’? The difference is the amount of time spent and the care that’s shown to the job. Which restroom would you want visitors to use? We care about the work that needs to be done to keep the focus off of “Is that smell coming from the bathroom? ” and more on your ministry and its message. Cleaning nursery areas are very important to maintaining a healthy environment for the children that visit your place of worship. 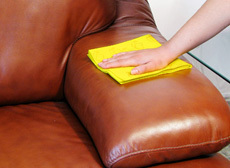 Cleaning and sanitizing surfaces that children come in contact with is something we specialize in. Letting us do the dirty work allows your volunteers and staff to focus on teaching and caring for the younger members of your congregation. Let us worry about keeping the areas they play and eat clean. Whether you need us monthly, weekly or even more often for clean up after events. Weddings for example can be messy affairs. There’s a lot of people, there’s food dancing clean up after all that can be time consuming. There’s all the tables and chairs that were set up that need taking down and because of all the people. There is going to be tons of trash as well as spills and splashes. We can help. For all the clean up or scrub down, give a Nadia’s House Cleaning a call today and we’ll do the dirty work in your church, synagogue, mosque or any other house of praise you may need taken care of with the respect and reverence it deserves.